Travis’ experience encompasses virtually all areas of motion picture and music production. In his teens, he created and directed animated portions of national sales campaigns for Duncan Yo-Yo and Parker Brothers and worked on numerous TV commercials and documentary films for industry, developing skills as a picture and sound editor, writer, director and composer. In 1964, while stationed in Germany, Travis was the lead singer for a German-Italian rock group, The Five Beats, popularly billed as the number one show band in Northern Europe. In 1967, working as General Manager of Lightfoot Recording Studios in Boston, he founded Travis Pike’s Tea Party, writing and singing more than 200 original songs for the group, which soon became a favorite at New England clubs and campuses. In 1968, he was Music Director for Squire D. Rushnell’s Group W television series, “HERE AND NOW,” but when that show proved too controversial for “there and then,” Travis came west to pursue his career in Hollywood. Here, he wrote scripts for feature films and TV specials, and worked in various capacities on several independent films. 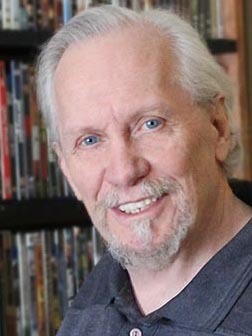 Bond Johnson, president of Cine-Media International, commissioned Travis to write screenplays for John Florea, Carl Pingatore and Frank Capra, Jr. and in 1981, Travis became Director of Production for the company, responsible for script breakdowns and production budgets, scouting and budgeting for foreign locations and negotiating international agreements for co-production participation. In 1987, Travis left Cine-Media to pursue development of his high-budget, high-concept projects, THE COURTSHIP OF PRINCESS GWYN, part one of LONG-GRIN, a proposed five part theatrical series based on Arthurian legend; MORNINGSTONE, his occult, 21st century musical mystery; and GRUMPUSS, an original epic narrative rhyme. It took ten years, but finally, in 1997, he produced, directed and performed GRUMPUSS, at Blenheim Palace, Oxfordshire, England, as a benefit for the Save the Children Fund. The video production of that show won a 1999 INTERCOM (International Communications Film and Video Competition), Silver Plaque Award for Special Achievement in Writing at the Chicago FilmFest, marking the first time in the competition (and possibly the first time anywhere), that an epic narrative rhyme was so honored. A separately produced audio production had its radio broadcast premiere in 1999, and Travis was interviewed on radio talk shows from Cape Cod to Waikiki. In 2003, the audio production received a Voices Across America, Youth Storytelling Pegasus Award. So now, armed with awards and a flurry of positive reviews for the storyteller versions, he’s naturally working on the high-budget, high-concept screenplay version! Travis has credits as a singer, songwriter, actor, producer, writer, director, technical consultant, composer and film and sound editor for feature films, television pilots, television series, stage productions, videos and documentaries. He served three terms (2002-2004) as vice president of the Alameda Writers Group and is currently chairman and managing director of the New Playwrights Foundation, hosting writing workshops for playwrights and screenwriters in both organizations. Travis’ many musical compositions are published through Morningstone Music (BMI), and he has just completed his first film project for the New Playwrights Foundation, a feature-length, non-fiction comedy, VOLUNTEERS FOR VERDI, which he edited, co-wrote and co-produced with director Jo Christensen. Gluttons for punishment will find more of Travis’ writing, including ODD TALES AND WONDERS, a whimsical collection of rhymes, on his Official Home Page..